Vancouver offers both visitors and locals many options when it comes to bus transportation around the city. There are tour buses, city buses, an Airport shuttle service, bus and ferry options between Vancouver and Victoria, summer and winter bus service between downtown Vancouver and Whistler or the airport and Whistler and bus service between Vancouver and downtown Seattle and between Vancouver and SeaTac airport. Entertaining and relaxing sightseeing tours are available for Vancouver, Vancouver and Capilano Suspension Bridge, Grouse Mountain and Capilano Suspension Bridge, Victoria and Whistler. These tours pick you up and drop you off at your hotel and provide informative and amusing commentary along the way. Call 604-990-9299 or 800-913-9207 for information and reservations or visit the Bus Tours Page for more information. For groups, a private tour is often the most economical and definitely the most convenient way to see Vancouver and to get from place to place. Private tours can be arranged for one or more and can include hotel, cruise ship and airport pick ups and drop off as well as tours of Vancouver, Whistler, Victoria and the Sunshine Coast. Call 604-990-9299 or 1-800-913-9207 for information and reservations. Located at the corner of Main and Terminal near the Main Street/Science World SkyTrain station, Pacific Central Station is the terminal for Greyhound Bus Lines, Skylynx (YVR to Whistler transportation), Wilson’s Transportation (Victoria transportation), and two trains: ViaRail and Amtrak. Pacific Central Station also has a Hertz car rental kiosk. Translink, Vancouver’s city bus system, operates over 1000 buses in and around Vancouver and in many of the outlying communities. City buses get you most places in the city quickly, inexpensively and conveniently. The Vancouver bus service is linked to both the SeaBus, a ferry that crosses the Burrard Inlet between Vancouver and the North Shore, and the SkyTrain, an elevated train that travels between Vancouver, the airport and the suburbs, with more than 20 stops along the way. You can take a city bus to and from the airport. From downtown take the #98 bus. From the airport, take the #424 bus from the airport to Airport Station and transfer to a #98 bus for downtown. The #98 is an express bus that leaves Airport Station every six minutes and only makes seven stops. You can buy bus schedules, transit maps and Day Passes at any Fare Dealer location. All Safeway stores, 7/11 markets, Save On Food Stores, and some London Drug stores and Shopper Drug Marts are Fare Dealer distributors. 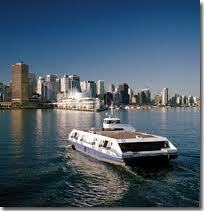 DayPasses cost $10.00 and allow you unlimited travel on city buses, the SeaBus and the SkyTrain for one day. You won’t find a better sightseeing deal in the city. From the Tsawassen Ferry terminal, you can take a bus to downtown Vancouver for $2.00. Catch the #640 to the Ladner Exchange and transfer to the #601 express to downtown Vancouver. It leaves on the hour. The SeaBus is a passenger only ferry that crosses the Burrard Inlet, connecting downtown Vancouver with the North Shore. Each ferry can seat up to 400 passengers at a time, and departs every 15 minutes during the day and every 30 minutes in the evening. 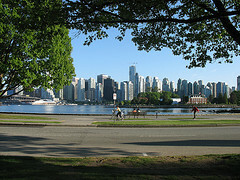 There are two terminals: Waterfront in downtown Vancouver, which connects with buses, SkyTrain and West Coast Express; and Lonsdale Quay in North Vancouver, which connects with an extensive network of North Shore buses. Crossing time is 12 minutes. Wilson’s Transportation provides service between Pacific Central Station, Vancouver’s main bus and train terminal and Victoria daily. 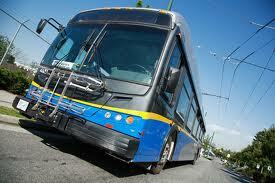 (Buses go from Pacific Central Station to the ferry terminal at Tsawwassen. They board the ferry, disembark at Swartz Bay, and drive to downtown Victoria.) Buses run about 8 times daily. Round trip tickets cost about $68 depending on the season. For travel between Vancouver and the rest of Canada or the United States, call Greyhound Lines of Canada or check out their website. 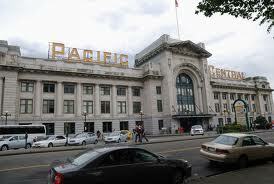 The Greyhound bus station is located at: Pacific Central Station, 1150 Station Street. The station is open from 5:45 AM to 9:00 PM and from 9:30 PM until 12:30 AM. This is the same station where you can catch Amtrak trains to Seattle and ViaRail trains to Jasper National Park and to cities east of Vancouver including Toronto and Halifax. 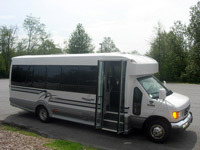 You can hire town cars, limousines, SUVs, mini buses and full size buses for groups of all sizes. Private charters offer transportation between Vancouver and Victoria, Whistler and Seattle and within Vancouver.